Will My Personal Car Insurance Cover Ridesharing? By now, you have probably heard of Rideshare. Ridesharing is when you use your vehicle to transport passengers and receive payment. Maybe you know a friend of a friend making some decent cash on the side and now you are considering trying it out. Taking on a job like this should not be done on a whim. Important things to consider include your car insurance policy. Is it capable of protecting you when in a car accident and transporting a paying passenger? Your personal liability limits will extend to any authorized (by you) driver driving your vehicle. Medical payments will apply if you have selected Medical Payments or PIP coverage on your personal policy. Now, Ridesharing is a different story. 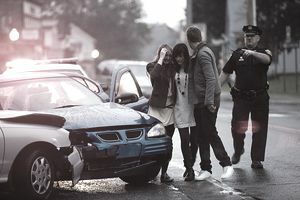 Personal policies almost always state it will not cover a driver who is transporting people or belongings for money. Why? Because your car is no longer being used for personal use, it is being used for business use and car insurance companies offer a different type of policy to cover business use vehicles often referred to as a commercial auto policy. The good news is that both Lyft and Uber extend some insurance to its drivers. Lyft offers a 1 million dollar limit and Uber offers a $50,000 / $100,000 limit whenever you are logged into their network regardless if you are transporting a person. These limits are a good start, but it is not impossible to exceed these limits in severe accidents involving multiple injuries and people. Some personal policies depending on your insurance provider may allow a business use endorsement on a personal policy. This is often much more affordable than an outright commercial auto policy. It is very important to be forthright with your car insurance agent so you know exactly what is and what is not covered. A straight out commercial auto insurance policy may be the route to go in order to have the peace of mind of knowing you are covered no matter what. These policies are expensive and are going to eat up a big chunk of your profits. Some people may associate the term Rideshare with Car Pooling to work with co-workers. It will truly make a difference where you live, and who your car insurance company is to say what is and what is not covered here. It is best to ask your insurance agent if carpooling is allowed under your personal car insurance policy. Again a business use endorsement on your personal policy might be the best way to insure proper coverage. A business use endorsement does cost more, but at least you will have the proper coverage at the time of an accident verse paying for something that does not provide proper protection. Ridesharing certainly is working for some people, that is why the service is so popular. Getting the insurance portion of the job figured out before you take off is advised. Knowing what your limits are and agreeing to them prior to taking on passengers is important. Please drive carefully!